Week number three at Camp Rising Sun brought about our second theme: Feel Good Week. 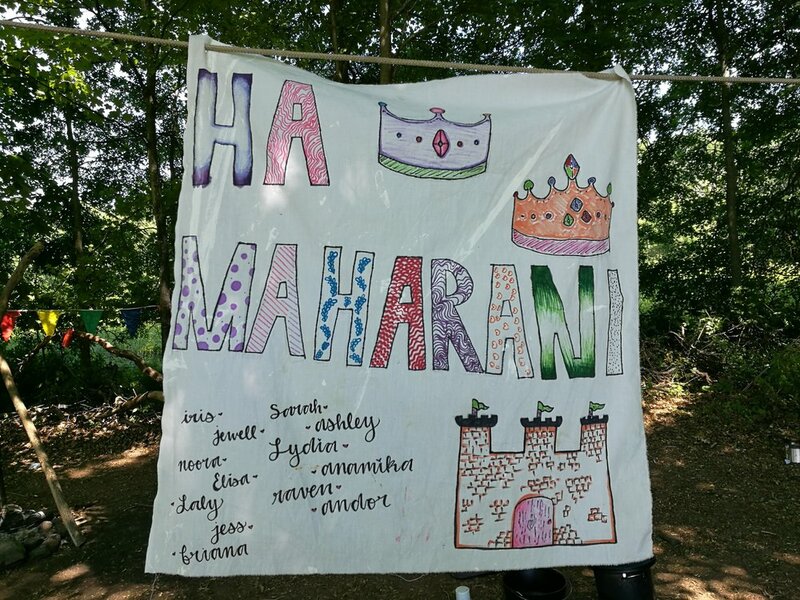 It encouraged positivity and good attitudes through many fun activities, such as canoeing, slip-and-slide, a pool party and jewellery making. Each day the leaders decided on a different color scheme, which resulted in the Camp looking like a sea of sunshine. We also had our first Camp Prom on Tuesday. The relaxed attitude provided an opportunity for the whole community to let loose and celebrate the success of the second Variety Show to our favourite hits. At the same time, this week was full of reflections. All of the campers had the chance to go on the hiking trip which was a very special experience. We are entering the single digits of the program, which is bittersweet for each of us and we can all sense the nostalgia in the air. However, we are not slowing down yet. We are all taking advantage of every day we have left here in the form of new projects, instructions, cultural meals, friends and much more. One of the prominent Camp’s traditions is the hiking trip, which took place in the second and third week. Even though its form has changed over the years, it still remains a challenging test for each camper. During those three days spent in the old boys’ campsite we pushed ourselves out of the comfort zones. We sweated, we laughed and we had the time of our lives - all in the calm forest of Red Hook. Each trip left in the morning, after making sure backpacks are packed and lunch is ready. What a strange feeling it was to leave the Camp, drive in an air-conditioned car, listen to music from the radio and see other cars and houses along the way. It felt as if we are abandoning the safe space which Camp has become to each of us and stepping into the wild world. On the first day, our main task was to set up tents and discover the campsite. Raven and Dan, the Wilderness Counselors, organized a scavenger hunt, thanks to which we could see the whole place. A misty atmosphere surrounded our walk - Freddie’s building without a breath of life inside, the pool lacking water, the International Theatre gathering dust and dead bugs. It was difficult to imagine 60 boys running around that facilities just a couple of years ago. Nonetheless, the day was full of joy and energy, with groups making their first meal in the woods and sitting by the fire in the evening. When it comes to meals, it is hard to find a camper who would not mention them as the highlights of the trip. There was something unique in the food preparation process. Campers could learn how to make the fire, later add all of the ingredients and stir it above the flames. To our greatest surprise, every meal could have been awarded with a Michelin Star. The food was simply delicious and cooking it made everyone enjoy the experience more. Moreover, many campers fell in love with washing the dishes in the stream which we had to do after each meal. Dear Parents, keep this in mind :). Besides the culinary performances, the Wilderness Trip had a bigger meaning to it. It was a real test for our physical and mental boundaries. Sleeping in the shallows of the forest, getting bitten by mosquitos on every turn, not showering for two and a half days. We all knew it was not easy, but in that joint awareness we could find support. The trip was a great opportunity to reflect on things, redefine your own beliefs and learn more about yourself. We could finally stop and look around. The nature enabled us to relax and focus on catching the moment. One of the moments I will remember forever was when all of the hikers and counselor gathered on the Observatory Tower in the evening of the second day. We were singing some Camp songs while millions of fireflies were flying around us. Some of us were stargazing or having some deeper conversations, but for the most part we got closer as a community. In that magical spirit we could return to Clinton, with some unforgettable memories made and even more energy for the rest of the time at Camp. For the first three days of the third week of Camp, the second group of campers left on their own Wilderness Trip. Though there are many amazing memories and stories from the trip, being at Camp when only half of the campers remain is also a special experience. Personally, I was excited for the opportunity to get to know everyone I had not spoken to much before. Many of us branched out and spoke to a variety of new people we likely would not have met if the entire Camp had been there. That was the upside of being back at Camp while everyone else was gone, but it did not change how strange it was to just have half the Camp. Assemblies were shorter, getting food was easier, but in many ways, Camp felt like a ghost town. Tent hill was quieter, the dining room felt oddly empty, and it was weird not seeing all of my friends as we walked around campus. Even then, I think all of us enjoyed the quiet and new opportunities. These three days served as a reminder to take time for yourself but also branch out and meet new people. Moving towards the end of Camp, I hope we can all take the lessons learned here into our last remaining days of Camp. Camp is a pretty busy place. We all wander from projects to assemblies, from instructions to meals. Every day is strictly scheduled, so that no time is wasted and the program is running smoothly. Sometimes though in that business we tend to forget about the ones, who are the basis of that big machine. In that piece we want to focus on the people who are the Camp’s backbone, without whom the days would not be as unproblematic. How did you get involved in Camp? How does the international community affect your work? “Definitely the conversations with campers that come in to the HAWC, who are just overheated or have just some SST before they have to go to their projects and they come to hang out and we have really deep conversations about either things they have experienced or questions. Last summer a camper would just leave a list of random questions, to which I would answer on paper and give it back. We talk about everything. It’s really cool to talk to you guys, especially to the people who have different point of views or experiences. What interested you about it? How did you get involved in the Camp? Which part of your job is the most challenging? How does the international community affect your job? Since we first arrived at Camp three weeks ago, we knew that we would one day, in a seemingly distant future, be changing tents. When week two passed by and we remained with our familiar tent-mates and counselor, the concept still seemed foreign. Two days ago, on day 18, it suddenly happened. The list was finally released and campers rushed to the bulletin board to see where they would be living for the remaining ten days and with whom. Soon, Tent Hill was once again in transition; giant suitcases being hauled across the grass, sleeping bags, sheets and pillows being transported, and new friendships already being formed. No matter what initial thoughts we may have had, the change in scenery was an important step in our community moving forward. It forced us to once again to step out of our comfort zones, have conversations with new people, and adjust our attitudes. 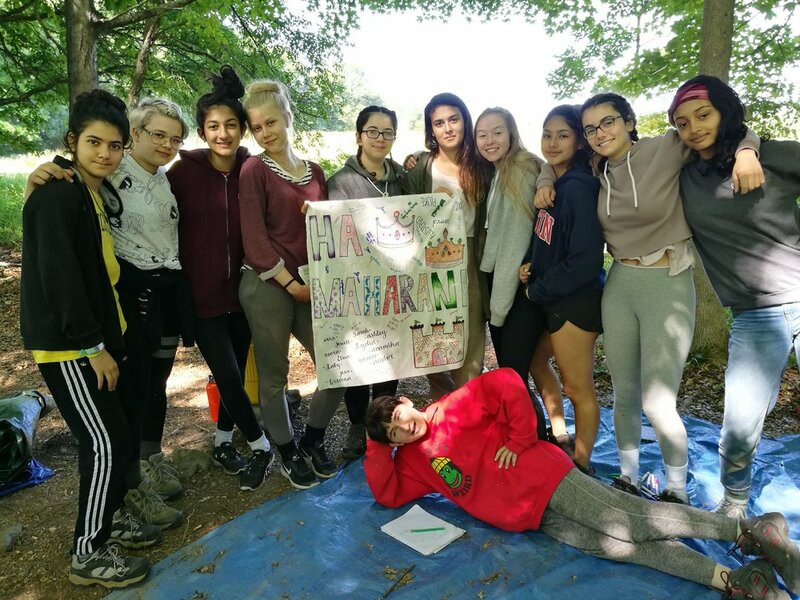 These are all skills encompassed in Camp Rising Sun’s core program, and the tent change was a chance for us to become re-in-touch with why we are a here. y los estampa en la pared. (ahora soy yo la que tiene mi poder).